Remember to measure your pet for the paw-fect fit. 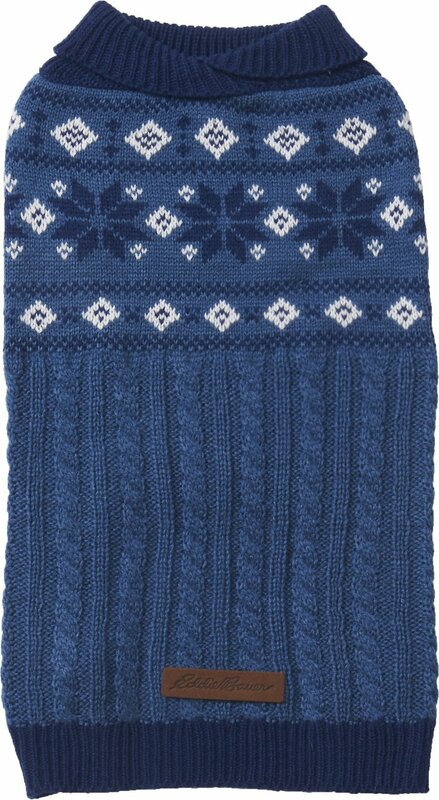 Keep your pup looking festive and fashionable in this Eddie Bauer Snowflake Fair Isle Dog Sweater. This knit sweater comes in a variety of colors, all designed with a giant-cable and cross-cable knit style and a shawl collar. Plus, it’s comfortable and easy to put on your pup, so you can get ready in no time. Best of all, it’s designed with a convenient leash opening and is also machine washable for a hassle-free clean. 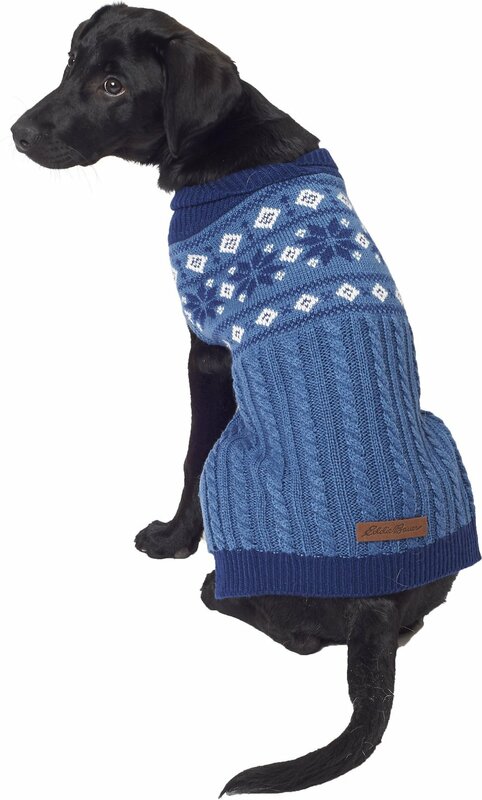 So, grab your leash, take your pal for a walk and watch him confidently strut the streets in his new, stylish sweater! 100% acrylic sweater keeps your dog cozy and comfortable. Convenient leash opening allows your pal to stay stylish and warm when you go on walks together. Easy to put on your pup, so getting ready is hassle-free. The machine-washable sweater is easy to clean in between each use. Safe to put in the dryer on a low setting so it's ready for your pal to wear in no time. This is a nicely made, handsome sweater. My athletic rat terrier had trouble wearing it though, as it would shift backward and cause the armholes to tighten against and restrict his arms and shoulders. I tried to fix it because we liked it so much and seemed to keep him warm, but my fix didn’t last and I ended up ruining it. I just don’t think our dog is cut out for sweaters, as the same thing happened with another one purchased at the same time. I bought this sweater for my old lab (looks just like the one in the picture) to add a little warmth in the Canadian winter. It looked like good quality, but stretched out after just a few wears. Now the neck is so big it slides back to her shoulders.It did not live up to my expectations. Sweater fits great. It is nice and long so it covers up to her tail. Very easy to get on and off. 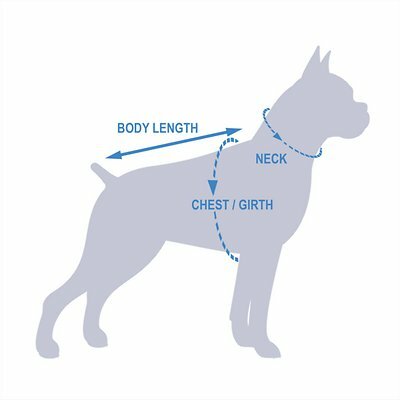 Only thing is the neck opening is large for my 1 yr old boxer as it has a shawl style collar. So I sewed it up a little to keep it closer to her collar when the temperature really drops to the teens. She seems to like putting it on. This sweater fit a little more snug than the same size cable type sweater that EB offers (ordered Medium size for all), but not too snug. My dog seems to really love the sweater and he looks sharp. Does not interfere with going outside to use the restroom. Haven't cleaned one yet but the care instructions are straightforward. After a few weeks of use, it seems like it will hold up for the duration of this winter and for winters to come. A bonus was the ultra fast shipping - I received my order the day after placing. Very satisfied. Although here in Florida this sweater may be a bit much, it sure is adorable on my Golden Retriever who at 14.5 might need a bit of warmth when the A/C goes on. Meanwhile, it's all about how pretty she looks in it! Got an XL for my 65 lb pit bull. It is a tad large but he has such a broad chest that anything smaller would be too tight in that area. The fit is okay over all and he seems to like it. It is a good quality item. My doggy is so handsome! 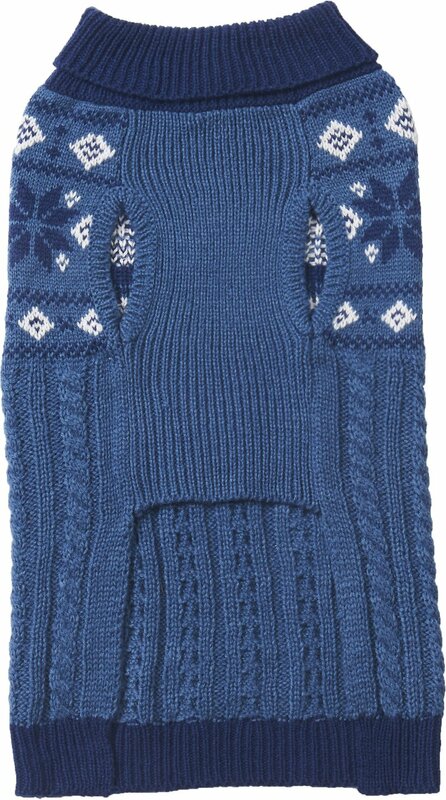 Love this fashionable sweater that came in handy during DCs polar vortex! Our boy Buddy loves it and seems to snooze comfortably in it as well. Perfect fit as well and stretched nicely. I'm always hesitant to buy clothes because I have a giant breed (great dane and labrador mix) but the XL fit her perfectly. It's a rich red color and the yarn is thick and warm. Easy to put on and high quality. Highly recommend. Well made and easy to slide on & off. The red color highlights my spaniels black & white coloring. 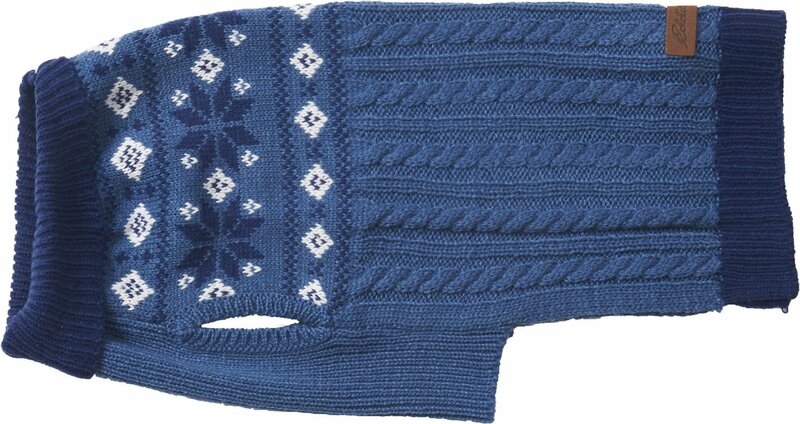 Great for in house during polar vortex or under a coat for outdoors in extreme temps. 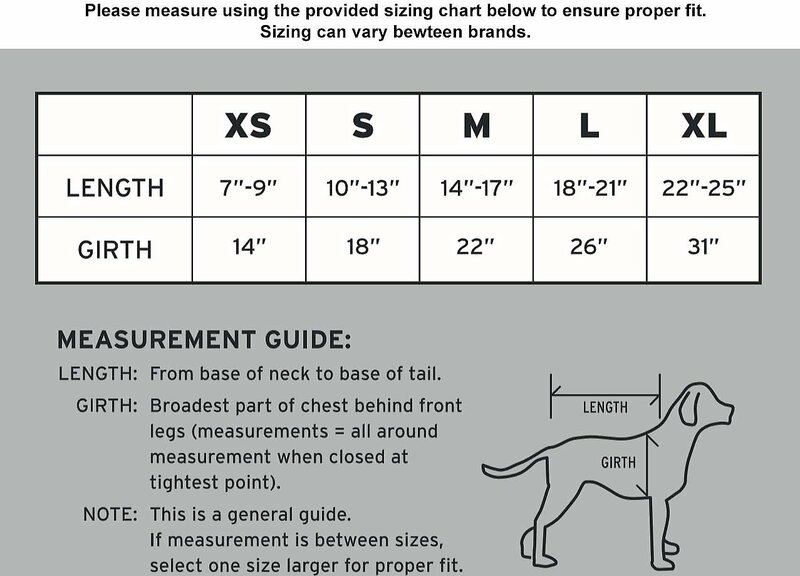 I went by your measurement chart and ordered as recommended. Unfortunatly use of the cowel neck it was way to big in chest area. If you order this I would recommend down sizing.